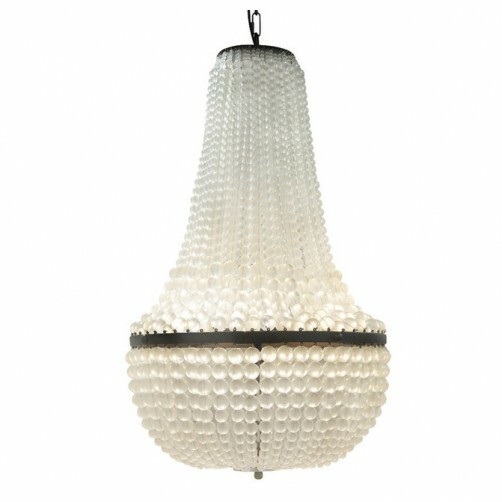 The Mist Chandelier delivers an elegant and classic aesthetic to any decor. Featuring a dark finished metal round frame, beautiful cascading arrangement of translucent glass beads in a solid drop curved shape for visual interest. Four light bulbs within illuminated, provide a timelessly appealing glow. Uses 4 type-B bulbs, 60W max. (Not included). Includes a large canopy and 6 feet of chain and cord.